Capturing the moment is one aspect of photography, but creating an image that creates instant "buy-in" is a totally different thing! Year&apos;s ago I worked alongside a major landscape photographer, who spent time researching daily weather patterns, the time of sun-rise or sun-set before even taking a single photo. It was this close attention to detail that created award winning imagery. Today, we combine traditional photographic skill-sets alongside today&apos;s hi-end digital photography and e-touching techniques to create stunning imagery that adds impact to your sales message. 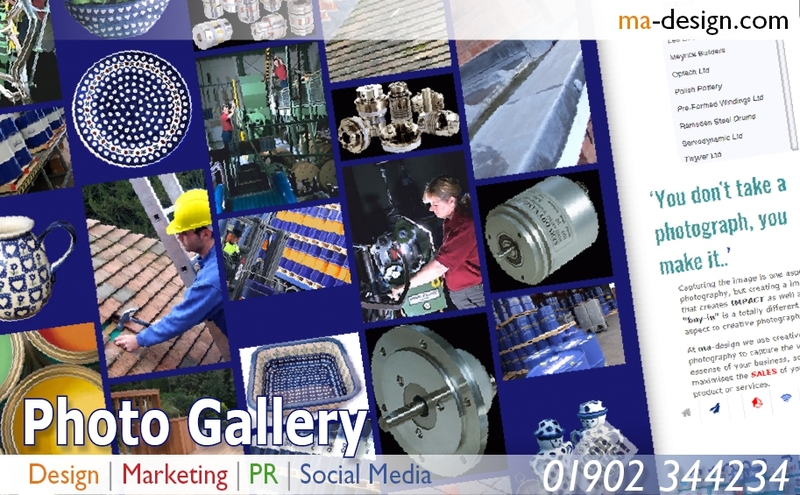 ma-design.com We maximise your companys potential, by minimising the risks., Based in Penn, Wolverhampton, West Midlands, UK. We look forward to speaking with you very soon. 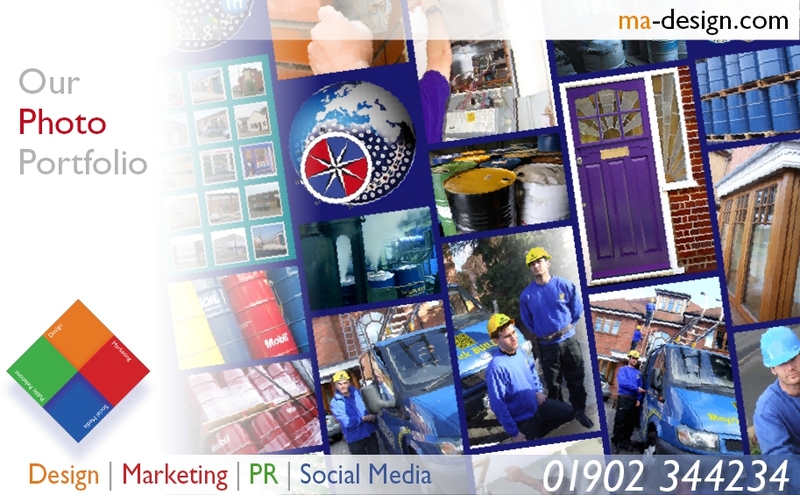 Abstract: ma-design | Design specialists who will enhance awarness to your company marketing communications., Based in the West Midlands, since 1987. We look forward to speaking with you very soon. Our commitement to providing a focused Design Management service for our clients is backed by our 32 years working within a wide range of industries and market sectors, including: Automation and Control, Automotive, and Maintenace Management. As being involved with both web design and hosting since 1996, we specialise in providing Web Site and Data Hosting solutions to meet exacting business needs for both access and security, from: .co.uk Domian Names, SEO Optimisation, to Web Hosting. We are so keen to keep abreast of both new technology and marketing processes that can benefit both the packaging industry and end-users directly. In view of this we strongly believe in collaborating and sharing information with other members of key Industrial Associations within the Electronics, Electrical Engineering, Electrical Contractors, Manufacturing, and Public Relations industrial sectors. We aim to please our customers doing our best to provide you with a quality experience, whether you are looking for; Exhibition Design, or want Product Photography services. We will always be pleased to talk with you about Corporate Identity, PHP Programmer, or Signage Systems needs.